Since the 1990s, internationally renowned Los Angeles-based artist Sharon Lockhart has captured specific moments from the everyday life of a wide range of communities through photography and film, including a girls’ basketball team in a Tokyo suburb for Goshogaoka (1997), young children in the foothills of the Sierra Nevada for Pine Flat (2006), and factory workers in Maine for Lunch Break (2008). Lockhart’s in-depth exploration of her subjects allows her to discern and distill their day-to-day rhythms and routines. It was during a research trip to Israel in 2008 that she first encountered the work of Israeli artist Noa Eshkol (1924-2007). In the 1950s, together with architect Avraham Wachman, Eshkol developed a wholly original movement notation system known as the Eshkol-Wachman Movement Notation (EWMN), which uses symbols and numbers to express the spatial relationships between the parts of the body. Eshkol devoted her life to perfecting the system, which has been applied across a broad range of research fields. 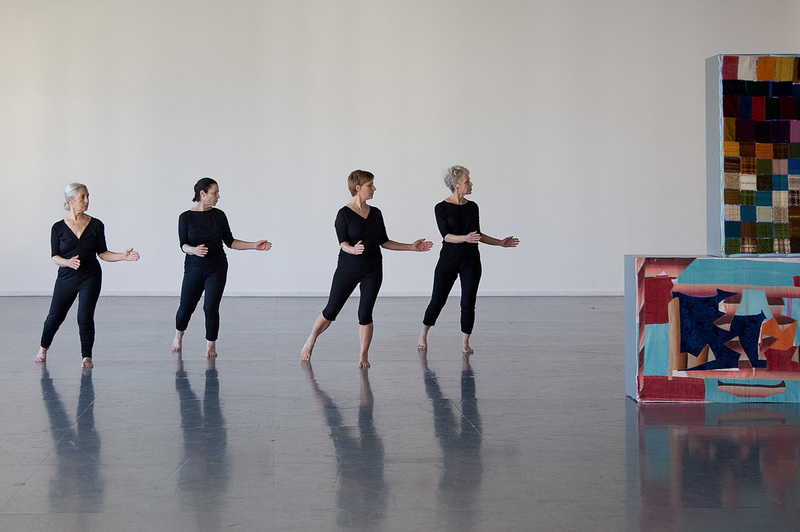 Because she preferred to work in relative isolation and without concern for public acclaim, Eshkol’s work in modern dance is little known outside of Israel. 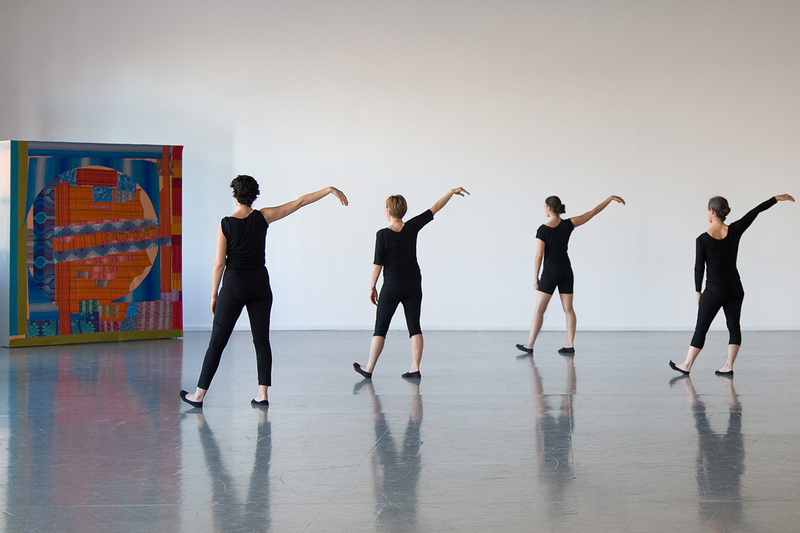 Drawn to the parallels between Eshkol’s theories and her own lines of interest — including stasis and motion in still and moving images, postmodern dance and Minimalism – Lockhart began working with the dancers and individuals who continue to preserve Eshkol’s legacy today. Presented on the first and third floors of The Jewish Museum, Sharon Lockhart | Noa Eshkol explores aspects of Eshkol’s extraordinary practice through several mediums. For the five-channel installation Five Dances and Nine Wall Carpets by Noa Eshkol (2011), Lockhart filmed seven dancers in various combinations performing five compositions by Eshkol, each set against a selection of Eshkol’s “wall carpets,” or textile works. The concepts behind Eshkol’s dances are illustrated by spherical models made of wire and mesh, which Eshkol constructed as a teaching aid for the notation method. A series of still photographs by Lockhart documents these objects and conveys the logic of movement they are meant to illustrate in groupings of two to five prints. The film installation and photographic series are accompanied by a selection of documents, notes, and drawings from Eshkol’s archive, shedding light on particular aspects of her creative process. In the exhibition’s final gallery on the Museum’s third floor, Lockhart is installing two vibrant examples of Eshkol’s work as a textile artist. The “wall carpets,” as Eshkol called them, were assembled without cutting any new material, using only found scraps of fabric. The dancers participated by sorting the scraps and sewing the final arrangements. Eventually some 500 wall carpets were created, representing a substantial aspect of Eshkol’s oeuvre. 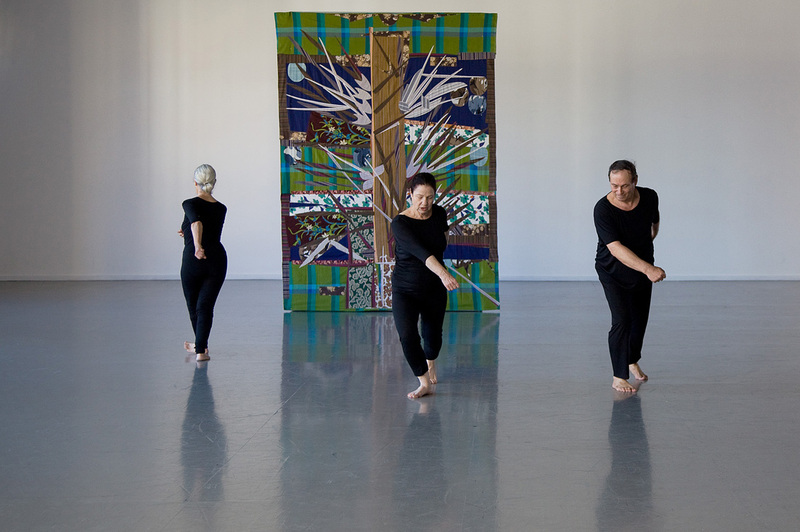 Lockhart’s five-channel film marks the first occasion in which Eshkol’s work in movement and textiles is brought together. 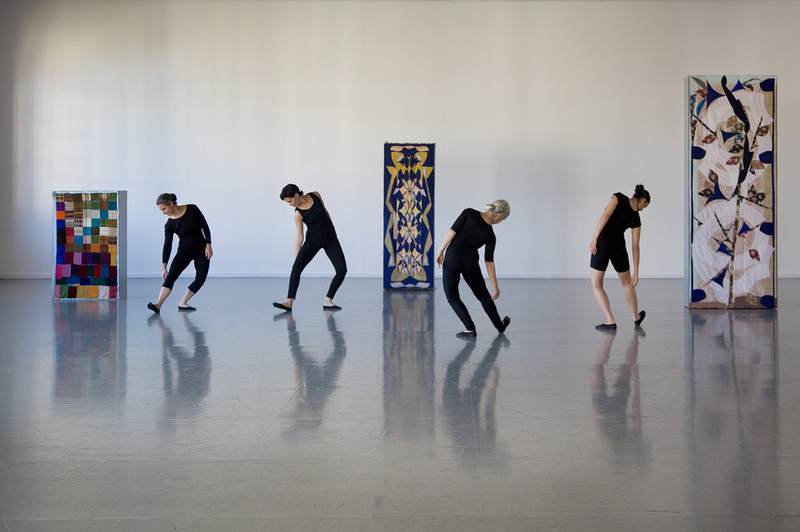 Sharon Lockhart | Noa Eshkol was organized by Stephanie Barron, Senior Curator of Modern Art, and Britt Salvesen, Curator of Photography, both at LACMA; and by Talia Amar, Associate Curator of Contemporary Art at the Israel Museum. Aviva Weintraub, Associate Curator at The Jewish Museum, is coordinating the New York presentation. The exhibition is accompanied by a fully illustrated catalogue, co-published by LACMA, the Israel Museum, and DelMonico Books/Prestel. Contents include essays by Talia Amar, Stephanie Barron and Britt Salvesen, Eva Diaz, and Michal Shoshani, and interviews with Eshkol’s dancers as well as between Lockhart and Sabine Eckmann. Photographer, filmmaker and artist Sharon Lockhart discusses the exhibition with Katy Siegel, Professor of Art History, Hunter College and Chief Curator, Hunter College Galleries on Thursday, February 28 at 6:30pm at The Jewish Museum. Leadership support for the Jewish Museum presentation is provided by the Estate of Lyn Barris. 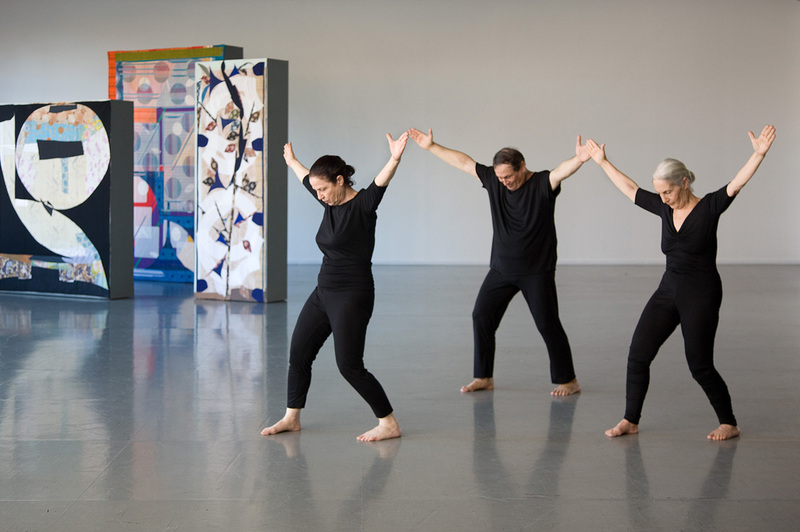 The Noa Eshkol Chamber Dance Group’s performance on March 10th is made possible by Jody and John Arnhold, The Philip and Muriel Berman Foundation, Artis, and the Office of Cultural Affairs, Consulate General of Israel in New York. Initial support for Sharon Lockhart | Noa Eshkol was provided by The Tel Aviv / Los Angeles Partnership–a collaborative project of the Jewish Federation of Greater Los Angeles, the Municipality of Tel Aviv-Yafo and the Jewish Agency for Israel; and The Philip and Muriel Berman Foundation, Los Angeles.